Contracts to buy homes fell 1 percent in February from the month before, according to new numbers from the National Association of Realtors. The decline follows a strong showing in January and was primarily felt in the Midwest, where pending sales activity fell 7.2 percent. The South and West saw increases. 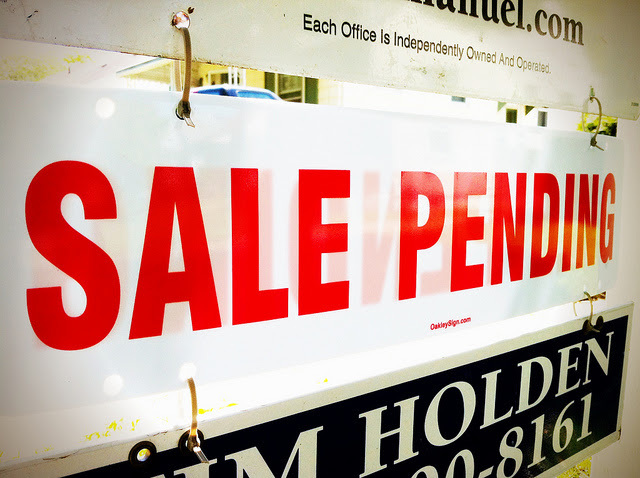 Pending sales are important because they track contracts, not closings. That means, they can be a good indicator of what home sales numbers will look like a month or so from now. Lawrence Yun, NAR's chief economist, says February's decline isn't a concern but sales have fallen behind last year's pace. “In January, pending contracts were up close to 5 percent, so this month's 1 percent drop is not a significant concern,” Yun said. “As a whole, these numbers indicate that a cyclical low in sales is in the past but activity is not matching the frenzied pace of last spring.” But while February buyers weren't as active as last year at the same time, conditions are settling and could bring out more buyers as the season moves along. In fact, Yun says he doesn't anticipate any interest rate increases from the Fed this year, which should keep mortgage rates favorable and help take some pressure off home buyers. In Eastern, NC, buyers are finding that many new homes are being built and this along with other homes on the market has given a good inventory for buyers to be able to find the home they have been looking for. To see some of the homes available in this area go to: https://www.firstcarolina.com/listings/ or join social media at: https://www.facebook.com/fcrhavelock/?notif_t=page_admin. More here.